Having not bought into the Android craze I was in a good position to pony up and pre-order the Verizon iPhone 4. I received it Monday and have been touting it around all week in my Saddleback Leather Pouch. I also did order an Otterbox Defender because the reviews were great and I want to try something with a bit more protection then a simple pouch. All the same features of the AT&T iPhone 4 along with the (for now) Verizon exclusive personal wi-fi network. For another $20 / month I have the ability to generate a personal wireless network that can handle up to five separate devices. The standard Bluetooth and USB options are available as well. Compared to my previous brick of a phone the iPhone is predictably snappier to respond, has all the apps as my iPod Touch (+GPS enabled maps), and allows me to be completely mobile and still be connected to everything. This means I don’t even have to think about lugging my laptop around. If I really need to be typing I have Dropbox and a bluetooth keyboard that lets me type as much as I want and have it available on any computer. Some people mention that Verizon has slower 3G speeds then AT&T. 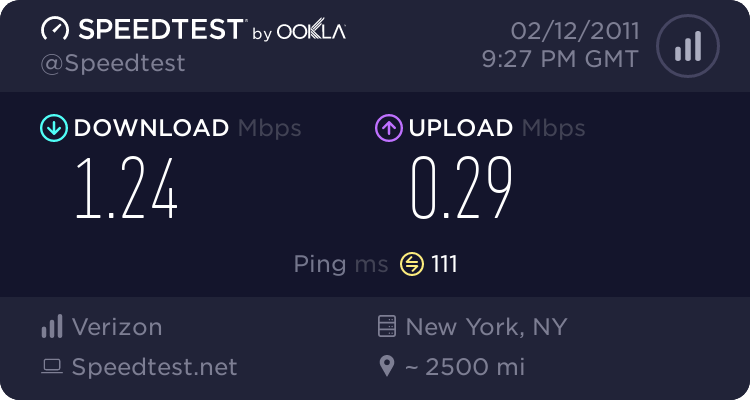 I put forward the notion that if you don’t have a connection you don’t have any speed. While my connection is sluggish compared to my home connection, I am able to do non-network intensive work on it fine. My SSH connections don’t seem to notice the speed.